Tekken 3D: Prime Edition was recently released on the 3DS, but what of the Wii U version? 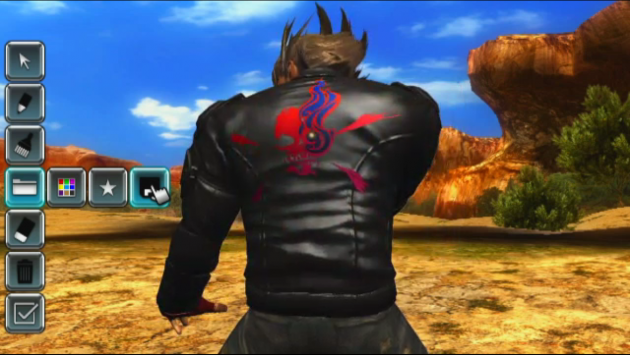 Tekken Wii U was looking to be a promising title; and at E3, series producer Katsuhiro Harada shared some ideas on how Tekken could use the controller such as it being used to create custom stages to be shared online, using the screen to draw up information on moves and being able to draw on your opponents face if you win a match. However, it is still unclear whether the Tekken game will be a port of a previous title or a new outing. Also, in a recent interview, Harada explained that they were still in the early stages with the Wii U and would not fully understand the hardware until “next year” which doesn’t sound too promising for Tekken Wii U being a launch title, seeing as the Wii U is coming out later this year. We’re still in the research phase of the capabilities of the hardware so we’re not sure about which aspect is really going to stand out. We probably won’t understand that fully until some time next year. The upside of this, of course, is that they will have longer to work on the game, which is always preferable to a rushed launch title. Too bad. Atleast we know that it’s coming some time. This was a quote from last years E3, or a small time after it. The site with the source seems to be re-posting old news for views. It’s not that hard to port Tekken over to the Wii U. Tekken has been using the same engine for years, and the HD looks weird (everyone is waxxy looking).